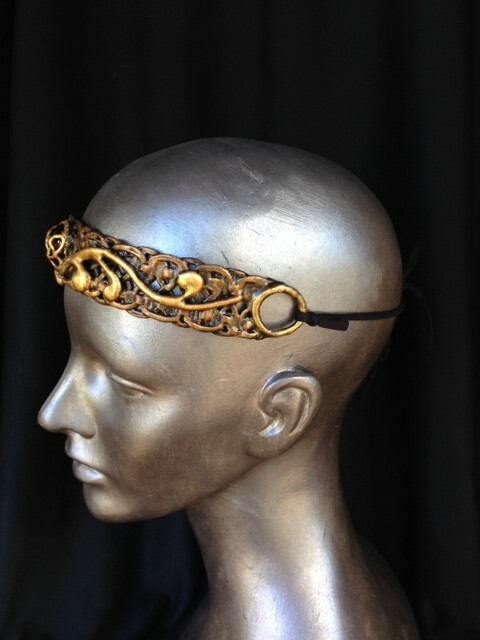 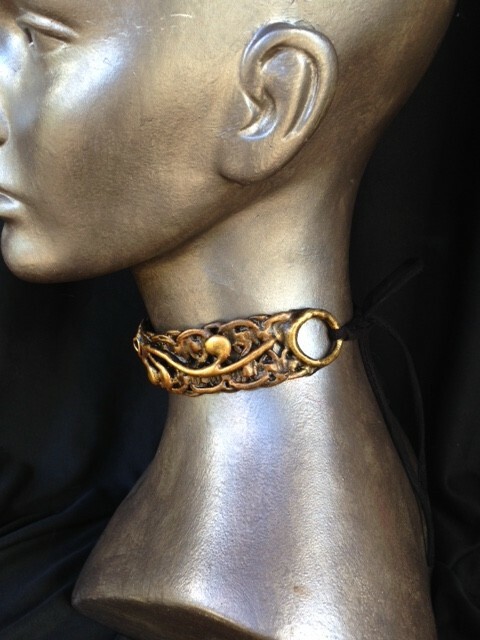 Gold filigree band circlet with scroll design. 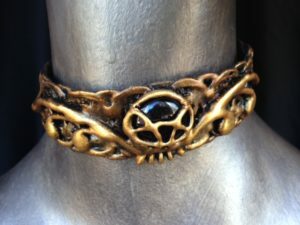 Plum glass stone in the center. 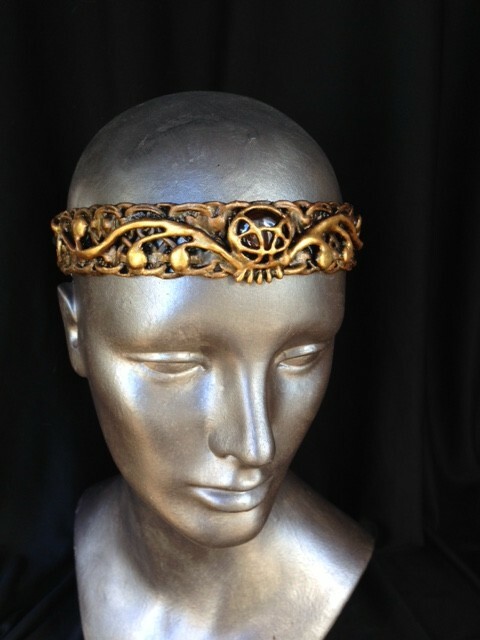 Can be worn across the forehead, at the hairline, as a hairband or a hatband. 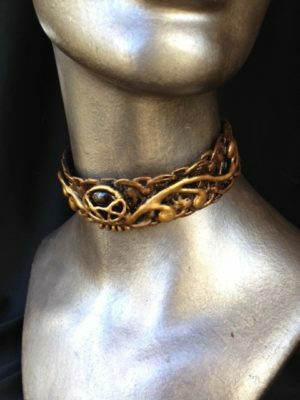 Also looks great as a choker. For all genders.